This winter the snowfall in the northern Sierra Nevada mountains has been way above normal, and as I write this another powerful storm is on its way. I feel for the folks buried in snow and living with power outages — not to mention those dealing with heavy snowfall and cold temperatures in other places! In this episode of California’s Gold, Huell travels to Boca Reservoir (a place I’ve visited in the summer) and learns how important large blocks of ice once were, before the era of powerful refrigerators. 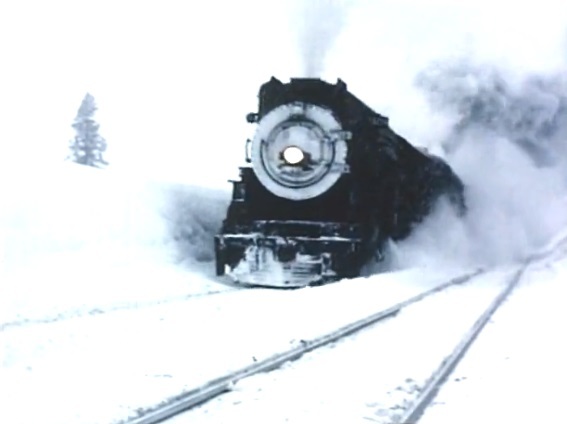 Then he takes a train ride up into the mountains and explores the historic snow sheds that made winter travel over the Sierras possible in days gone by. Bundle up and enjoy! Sunny beaches and swaying palm trees are very much a part of what California is all about. So are snow and ice. And to prove it, host Huell Howser and cameraman Luis Fuerte bundle up and travel to one of the coldest places in our state in search of historic snow and ice.